Fungi have been recommended as agents for the biological control of insects for over a century, but their use remains particularly limited. As with numerous microorganisms, an entomopathogenic fungus from genera Metarhizium and Verticillium produces several metabolites. While these compounds are a conspicuous feature of the biology of the producing fungi, their roles in pathogenicity and other relations with their hosts and challenging microbes are not well understood. Insect pathogenic fungi are effective in controlling the occurrence of certain populations of soil pests with varied type of action and virulence. The fungi have evolved mechanisms for adhesion and recognition of host surface cues that help in direct adaptive response including the production of hydrolytic, assimilatory and detoxifying enzymes and additional metabolites that facilitate infection in insect pests. However, entomopathogenic fungi are a chief component of integrated pest management and form an integrated part of mycoinsecticide in agriculture. Entomopathogenic fungi are considered as an effective biocontrol agent against various plant pests. 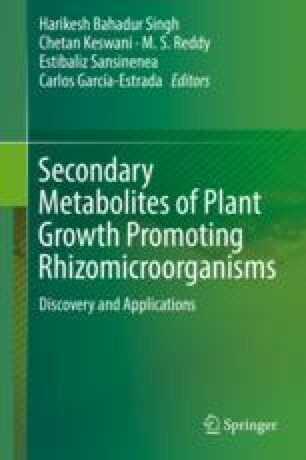 Therefore, in this book chapter, we discussed the role of entomopathogenic fungi Metarhizium and Verticillium for the management of the insect pests in agricultural ecosystem. R.N. Yadav is highly thankful to the International Rice Research Institute India for financial support.